“What are the optional subjects of topper of UPSC CSE 2016 ? What are the optional subjects of previous years topper of UPSC CSE ? Civil Service Examination (CSE) is National level exam conducted by Union Public Service Commission (UPSC). 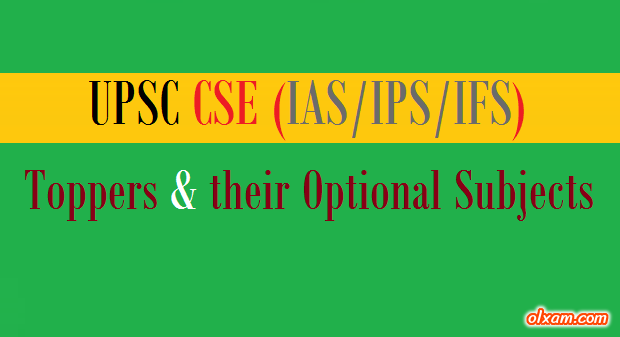 UPSC CSE exam includes Indian Administrative Service (abbreviated as IAS), Indian Foreign Service (abbreviated as IFS), Indian Police Service (abbreviated as IPS) and many more other services. Here in the below tables we are providing list of top ranker of UPSC CSE exam along with their optional subjects. This post is specially designed for providing information about UPSC CSE toppers. Candidates may check list of toppers of the year 1990-2016 from the table given below. UPSC CSE 2016 topper name & their optional subjects will be updated as soon as UPSC 2016 office declared UPSC CSE 2016 result. Click below given links to get further information. 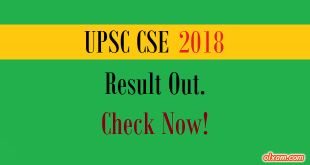 CSE (IAS/IPS/IFS) 2018 Result Out. Check Now! All pages, information and graphics presented on this website belongs to gate2016.info. All pages, information and graphics may not produce in any way, shape or design without the written permission of gate2016.info. By Doing so you are violating Copyright as well as IT Laws. Gate2016.info is a participant in the Amazon Services LLC Associates Program, an affiliate advertising program designed to provide a means for sites to earn advertising fees by advertising and linking to amazon.in. Amazon banners and Amazon logos are the trademarks of Amazon.in, Inc., or its affiliates. All trademarks, logos and brands are the property of their respective owners. BHEL Recruitment 2019 – 145 Engineer Trainee & Executive TraineeApply Now!